My Impressions: Hero Arts Week! Bravo, Sarah! LOVE your card with all the wonderful HA goodness! I so echo your sentiments about this fantastic company! Love this Sarah! I will definitely be back to check out the rest of the week:) Hero Arts rocks!!! So pretty! Love this, gorgeous card and can't wait to see what else you have to share this week! Ahh! So cute! I love all the pretties on the tree! Looking forward to the HA week!! Love all those embellishments on the tree! Love Hero Arts too! I love Hero too. And this card! wow! Ditto with what you said about HA!!! Love your gorgoeus Christmas card, Sarah! Hope your Thanksgiving was a great one! You are "right on" about Hero Arts and I know a lot of people agree with you, including me. Gorgeous card today, by the way!!!! Great card! 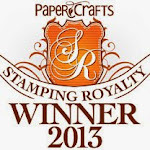 HA stamps were my first and are still my fav! I follow your blog using google reader. I too love the HA products. They far outnumber any other brand in my stash. This card is so adorable and fun. This card should be for a very special person! 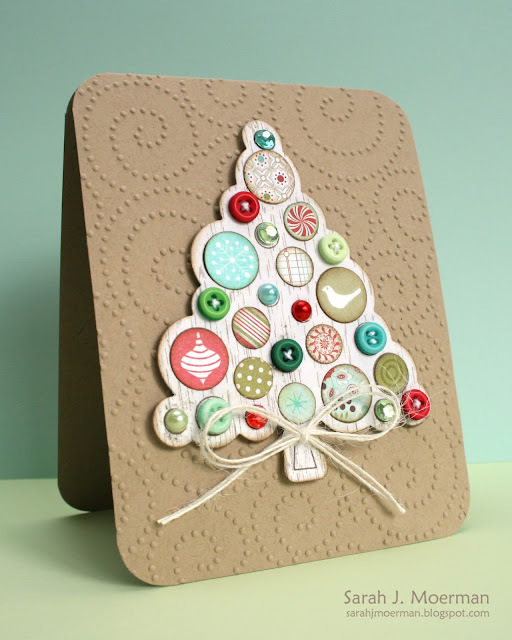 I can't imagine adding all those sweet, fun embellishments to the tree! But the end result is definitely worth all the time you spent on it! Such an incredible card - I love it! And thanks for sharing the reasons you love HA so much. 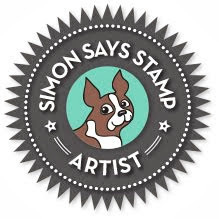 For someone whose considering Hero Arts products, it's nice to know from another stamper's perspective what makes them such a great company. Thanks for sharing, Sarah! ACK!!!!!!! So glad I found and am following your blog now! This is STUNNING!!!!!!!!!! I'll stop flooding our inbox now but I'm gonna be stalking your blog for a while I think! You know I adore HA as much as you Sarah, one fabulous company! I wasn't sure about this embossing folder at first but now that I've seen it in action, I love how it looks especially on the kraft. Another Hero Arts fan checkign in!! Love that embossing folder! Wonderful Christmas card. I love Hero Arts too. Your card today is wonderful!